While smart technology — web-controlled devices like locks, lights, thermostats and cameras — can provide convenience and a sense of security for some, these tools are increasingly being used by others to monitor, harass, stalk and intimidate, something known as "tech abuse." When Ferial Nijem moved into a smart home equipped with the latest in modern technology, she had no idea she was walking into what would become a living nightmare. At the hands of an ex-partner, Nijem experienced what she calls "tech abuse." "If anybody would walk into this situation, they would think they were walking into a horror movie," she said. 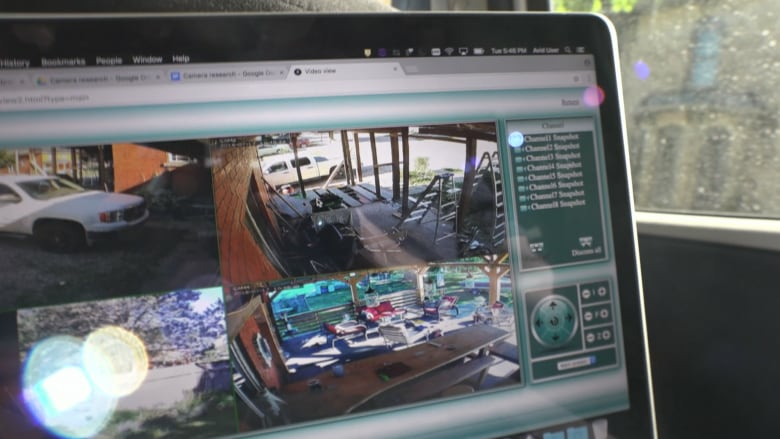 While smart technology — web-controlled devices like locks, lights, thermostats and cameras — can provide convenience and a sense of security for some, these tools are increasingly being used by others to monitor, harass, stalk and intimidate. Also on Marketplace this week: Can food sensitivity tests really tell you which foods make you sick? And the truth about popular (and pricey) 'teatoxes.' Watch at 8 p.m. Friday on CBC TV or online. Looking back at the early days of her relationship, Nijem says she now can see there were signs of trouble. Her partner, at times, was quietly controlling. "He wouldn't just touch base with a text; he would call me on FaceTime and ask to say 'hi' to the person [I was with]," she said. That was just the beginning of her ex using technology to keep track of her. Nijem says things eventually took a terrifying turn when the couple's home was used against her. The U.S. home was equipped with a built-in smart home automation system, allowing for the lights, heating, blinds, sound system and security cameras to all be controlled from anywhere using apps on a phone or another device. "It's very convenient: you have total access and control over your entire home," Nijem said. "But as my experience with home technology grew into [something] negative, then I realized the dangers and implications of what that type of technology can do. "He was able to monitor me, you know, using the security surveillance cameras, even remotely, from thousands of miles away," she said. "You're never outside the reach of your abuser." During an especially strained time in their relationship, while they were living apart, Nijem said he maintained control of the house and would use it to terrorize her. "In the middle of the night, I'm awoken, and my dogs are awoken, by this blaring music over the audio system. You have lights flickering on and off, TVs going on and off," she said. "It's almost as if the house is haunted," Nijem said. "It is only done to cause you trauma, to cause fear, to cause anxiety." Nijem said she was powerless to stop it; her partner had set up the system and she couldn't override his control. "Shutting down the system meant shutting down the house, shutting down the lighting system for myself as well," she said. Nijem shared her experience with Marketplace during an investigation that examined some of the potential risks that can come with smart home technology. 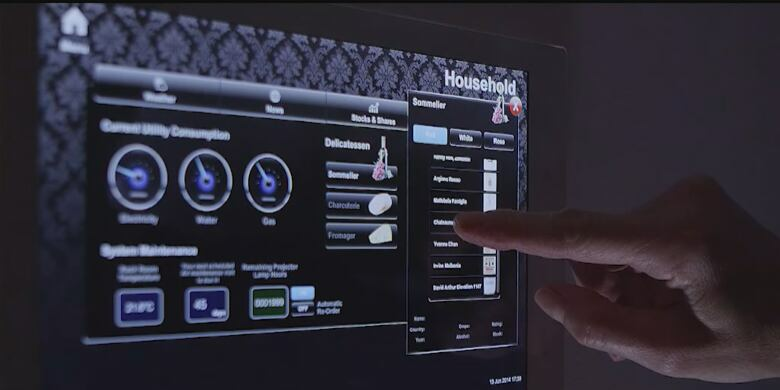 According to a recent forecast from market research firm International Data Corporation, there will be 158 million connected mobility and home devices in Canada by the end of 2018, with the number of smart-home devices alone expected to grow by 60 per cent over the next three years. As this type of technology becomes mainstream, it becomes yet another tool for abusers, says Laurie Lile, an advocate for victims of domestic violence. Any technology in the hands of an abuser "can quickly turn into a method to control, stalk and cause mental anguish for the partner," said Lile, who works with the U.S.-based Women of Means program, geared toward helping victims whose abusers are wealthy and powerful. "For individuals with financial means, a smart home with the latest bells and whistles is becoming a more common way to abuse a partner via technology within the home," she said. But smart technology and its ability to be abused is not reserved for the wealthy. Joanne Baker, executive director of the BC Society of Transition Houses, which works with shelters to help those fleeing domestic violence, says she's also aware of the dangers and implications of tech abuse. Today's technology is simply "a new means by which [abusers] can continue the old behaviour of abuse," she said. Baker urges victims who feel they're being harassed through technology to contact anti-violence advocates, as they're skilled in tech-focused safety planning. "She can do a safety audit and privacy audit, and think about the information her abuser might have that is enabling him to use technology that they're both connected into to terrify her," she said. Where possible, Baker suggests victims of tech abuse change their online passwords, use stronger passwords and set up double authentication on personal devices. It's the same advice that security experts give to anyone with smart home devices. As for Nijem, she says she contacted local police but was told nothing could be done because her ex-partner was the only person listed as the owner of the home. She eventually got the help she needed from a women's shelter and now works with organizations that help domestic violence victims by sharing her story and the lessons learned with others. One piece of advice? "You can get through this," she said. "Join a program. Find a support group. Grab the tools and resources for healing. … Do trauma counselling, because PTSD is a big part of domestic violence." Nijem also says governments and smart-device manufactures need to do more when it comes to protecting potential victims. "Domestic abusers, they always can find new and advanced ways to cause harm," she said. "But these companies need to catch up, the laws and the protective policies need to catch up, because ... tech abuse is a growing problem."